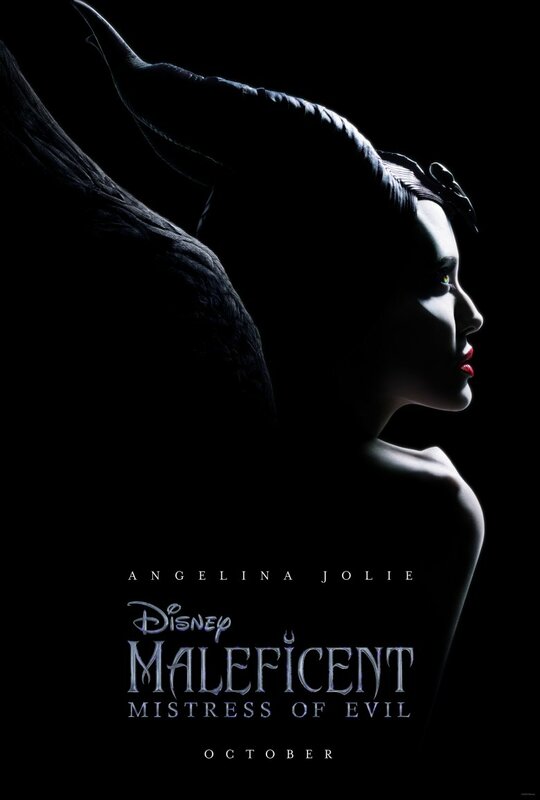 With a name like Maleficent, she's gotta be evil — a mistress of evil. On Wednesday, Disney announced some big changes made to its forthcoming Maleficent sequel, the follow-up to 2014's dark fantasy film that centered on the eponymous fairy (loosely based on the wicked fairy godmother from Sleeping Beauty) and chronicled her transformation from a kind-hearted creature to a cynical, merciless queen who curses the daughter of the man who betrayed her. Per Deadline, the second Maleficent movie has landed a brand-new release date and scored a sweet (and spooky) official title. Sporting the name Maleficent: Mistress of Evil (which is among the list of coolest sequel titles in recent memory, if we do say so ourselves), the sequel will now open in theaters on October 18. The House of Mouse previously had Maleficent: Mistress of Evil set to launch on May 29, 2020 — but with a new title comes a new release date, it so seems. In addition to dropping these bits of news, Disney also revealed the first poster for the upcoming movie. Check it out below. Angelina Jolie leads Maleficent: Mistress of Evil as the titular antagonist, who actually softens by the end of the first film thanks to Aurora, the young girl she cursed as an infant and whom she cares for and protects as a god-mother-like figure throughout her life. When Aurora, played by Elle Fanning, succumbs to the hex after pricking her finger on the spindle of a spinning wheel and falling into a deep slumber, it's Maleficent who gives her the "true love's kiss" needed to wake her. The twist on the traditional story — which sees a handsome prince save Aurora from the curse — was one well-received by audiences and critics alike. With its new October 18 premiere date, Maleficent: Mistress of Evil will compete at the box office with an untitled horror movie set up at Blumhouse — and nothing else (for now, at least). The sequel might find some contention with Zombieland: Double Tap and Gemini Man, both of which open a week later on October 25, though those flicks will likely draw in crowds that won't be interested in seeing the new Maleficent movie (i.e., adults without children, those who didn't catch the original movie, and movie-goers who aren't big into Disney). Maleficent: Mistress of Evil stands a strong chance of dominating as the top family-friendly movie of October, as it will only go against the new Addams Family animated movie in that genre. 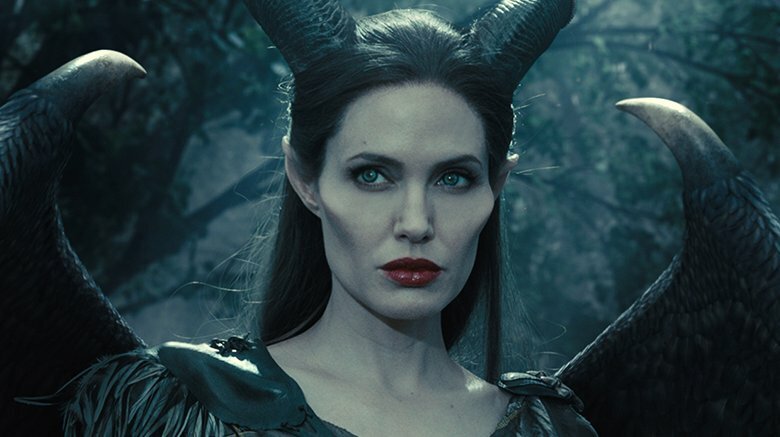 The first Maleficent film raked in $758.5 million worldwide during its theatrical run in 2014, and later went on to become actress Jolie's highest-earning live-action movie at that time. Jolie and Fanning are, of course, returning to reprise their roles in Maleficent: Mistress of Evil, so that star power is sure to draw viewers in for the sequel, which should translate to steady ticket sales. What will be interesting to see pan out, however, is whether the addition of new cast members and a changing of directors will affect how well Maleficent: Mistress of Evil performs at the box office and amongst critics. Academy Award-winning filmmaker Richard Stromberg (Avatar, Alice in Wonderland, Oz the Great and Powerful) directed the first Maleficent, but won't be back for Mistress of Evil; Pirates of the Caribbean: Dead Men Tell No Tales co-director Joachim Rønning stepped up to take his place. Additionally, Mistress of Evil brings into the fold a few fresh faces: Ed Skrein is playing a villain, Michelle Pfeiffer is portraying Queen Ingrith, and Harris Dickinson is replacing Brenton Thwaites as the new Prince Phillip. Also joining the sequel squad are Chiwetel Ejiofor and Robert Lindsay. Together, the returning crew and the newcomers will explore the relationship between the rising queen Aurora and the powerful fairy, and how it bends (and maybe even breaks) when new enemies arrive in the Moors and threaten to destroy the kingdom. Picking up several years after the events of the first film, Maleficent: Mistress of Evil will be released in theaters on October 18.